But yes, the Plex server is the big thing. Along with the recently-updated app, the SHIELD can now host and transcode videos, photos, and music for streaming to other computers and gadgets, just like the PC version of the software. It's the only Android-powered device that's been given the capability. Naturally the more expansive SHIELD Pro model with its 500GB hard drive is more suited to being a media server, and even that's a little on the slim side as far as storage goes. To that end, NVIDIA has added the capability to mount a network-attached storage drive to the SHIELD, along with the usual USB and MicroSD storage options. Speaking of storage: now it's a lot easier to get local video content onto the SHIELD. The 3.2 update allows local Windows or MacOS machines to access the SHIELD's internal or shared storage over the network. This is a huge plus for anyone who's had to wrestle with AirDroid or similar to try and send files to the SHIELD from a desktop PC. At the time of writing a networked PC can't access external storage on the SHIELD, so it might be best to either transfer to a USB drive directly or use the SHIELD's new network storage capability to access it remotely. NVIDIA tends to send its updates out all at once, so if you don't see the alert on your Android TV homescreen, check the Settings menu for a manual refresh. Happy streaming. NVIDIA SHIELD has established itself as the best Android TV box, and enables the best Android TV experience with personalized entertainment recommendations, instant access to your entire Android media collection, powerful and versatile voice search capabilities, the best 4K and media playback support, and the best gaming experience compared to all other smart TV boxes. Since its launch, SHIELD has been continually updated to deliver exciting new experiences and features. SHIELD Android TV’s latest SHIELD Experience Upgrade 3.2, brings many exciting new features and new apps. Netflix in HDR - SHIELD is the first Smart TV box to support Netflix in HDR. Pair with an HDR TV and enjoy brighter highlights, more detail in dark scenes and a wider color range. One hundred hours of HDR shows are coming this summer. YouTube 4K 60FPS - Watch YouTube videos in 4K Ultra HD resolution at a smooth 60 frames per second—only on SHIELD. VUDU in 4K - Catch up on the latest movies and binge-watch TV series. VUDU supports UltraViolet and Disney Movies Anywhere playback, as well as 4K, voice search, and universal search. Dolby Atmos - Enjoy a home theater experience with rich Dolby® Atmos surround sound pass-through in VUDU, MX Player, SPMC, and SHIELD’s preinstalled Photos & Videos app. Best Universal Search - Perform a natural language search for music, movies, TV shows or games and get results from over 60+ apps including top new additions: Netflix, VUDU and Spotify. Media Streaming – At Home and On the Go - With PLEX Media Server now built-in, you can stream your personal media collection from SHIELD to mobile devices, even outside the home. Accelerate your media (even from a NAS) with SHIELD’s HD transcode. More Top Apps Streaming to Your TV - If you’re a sports fan you can now stream all WatchESPN has to offer. Music lovers now have access to Spotify. For news junkies, NBC News was recently added while CNNGo, NPR and ABC News were announced as coming soon to Android TV. Family-friendly programming will get a major boost with WATCH ABC, Freeform, Disney Channel, Disney Jr., Disney XD and Nick, all of which have also been announced as coming soon to Android TV, along with Viacom’s MTV and Comedy Central. Automatically Turn your TV Off - Rounding out SHIELD’s HDMI CEC support, SHIELD now automatically turns off your TV when SHIELD sleeps. Enable in Settings > HDMI > HDMI-CEC preferences. Share SHIELD Folders with a PC - Access SHIELD folders from a network PC or Mac and enjoy drag-and-drop file sharing. Enable in Settings > Storage & reset > Access SHIELD folders on PC. Mount Network Storage - Mount a network attached storage device (NAS) to SHIELD to access your complete media collection. Stream this media to mobile devices using the Plex app and SHIELD’s HD hardware transcode. Set up in Settings > Storage & reset > Network storage. Improved Picture Quality - Enable YCbCr 4:4:4 color space for improved video quality on supported TVs. Go to Settings > HDMI > Color space. So there you have it. 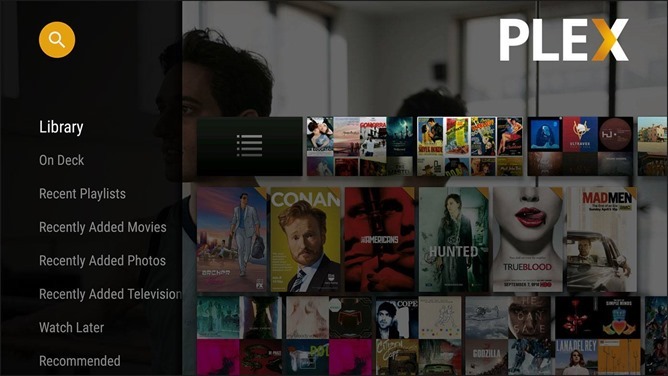 The best Streaming Media Player just got better. Of course, if you have yet to jump on the SHIELD Android TV bandwagon then what’s stopping you? Run out today and get an NVIDIA SHIELD Android TV.